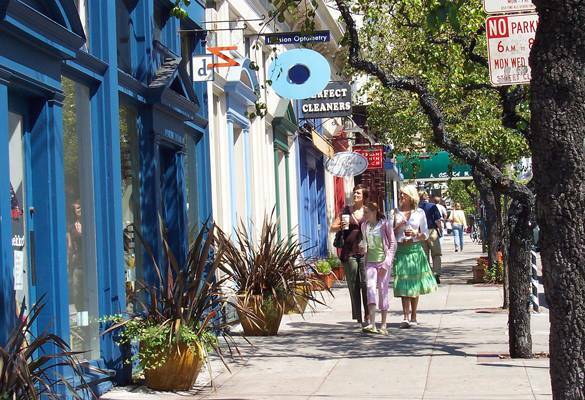 Stroll through three distinguished shopping, walking and dining districts along Fillmore, Union and Sacramento Streets - each with its own unique charms. Below are some of our preferred local attractions to visit, all just a short stroll away from Hotel Drisco. Union Street in Cow Hollow (a former dairy land) emerged as one of our city's most charming "quartiers" in the 1950s. 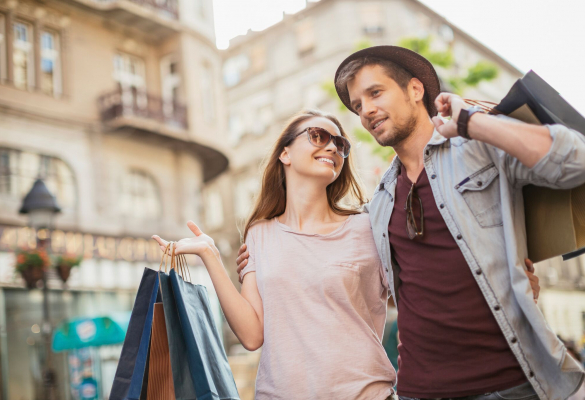 Take a leisurely stroll down the main thoroughfare where you'll discover Victorian mansions and carriage houses transformed into boutiques and restaurants featuring a variety of delectable cuisines. Sit back at one of the many outdoor cafes for some people watching and a relaxed conversation over a drink- coffee, beer, or, of course, spirits. 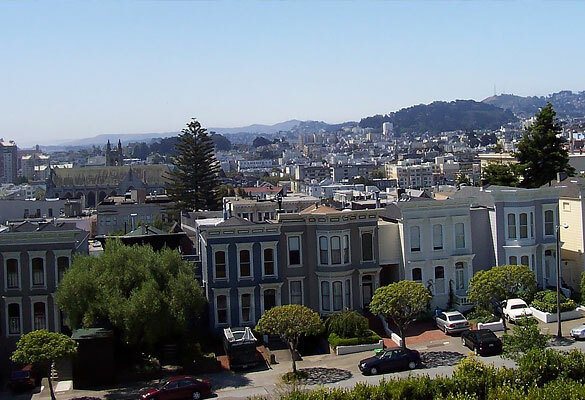 From the top of the Lyon Street Steps you’re rewarded with breathtaking views of the bay. The steps span nearly two blocks and rise through several levels of spectacular mansions and perfectly manicured gardens. Only three blocks from Hotel Drisco, this neighborhood park gem is a great place to enjoy sweeping views of San Francisco’s unsurpassed Bay and city skyline and admire the baronial mansions of Pacific Heights. 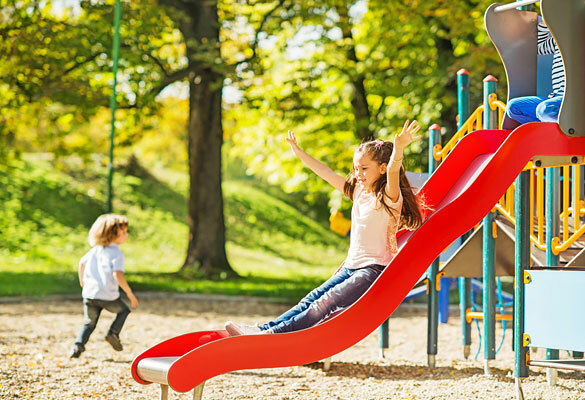 Located in the Presidio and just seven blocks from Hotel Drisco, “JK” is a beautifully designed playground, featuring a sand and water play area, swings, climbing structures and slides. There are also picnic tables, tennis courts, and a clubhouse that offers various activities. Lined with art and antique stores, this quiet, elegant neighborhood is paradise for the home decorator. You'll even be amazed at the offerings in the local hardware store. Pamper yourself at one of the salons or indulge at the many high-end boutiques. You'll also discover the Vogue Teatre (the second oldest in the City, having opened in 1910), and shops for delighting the children with books, toys and clothes, as well as a small, but unique selection of restaurants and cafés. Comprised of 10 tree-lined blocks, Upper Fillmore is where Pacific Heights thrives. Here you will find boutiques galore, for the trendy as well as the more classic look. It is abundant with a variety of delightful eateries for a meal or a munchie. Or follow your nose into one of the bakeries for something sweet. 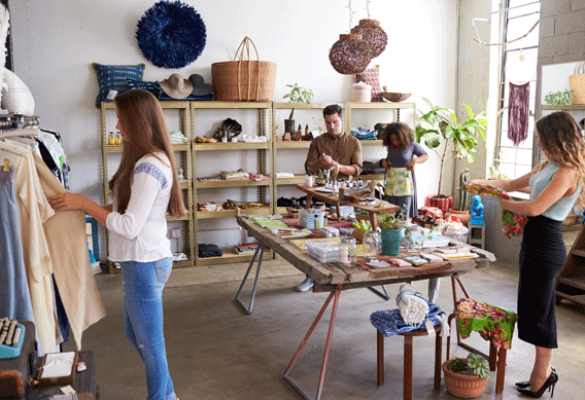 There are bookstores for browsing, and specialty shops for jewelry, gifts and home furnishings. And there's Landmark's Clay Theatre, one of San Francisco's oldest cinemas, which features independent and foreign films. 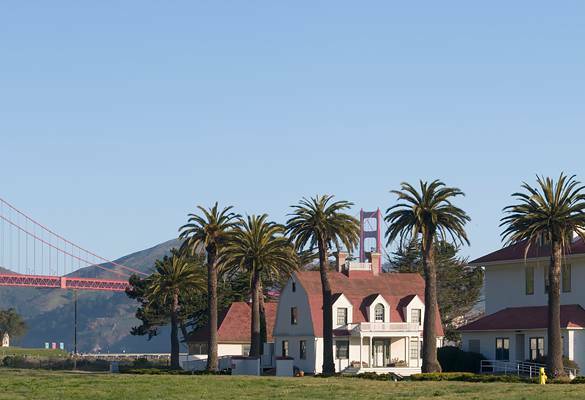 As a military post for over 200 years and a National Historic Landmark, the Presidio is 1,491 acre park of forests, beaches, an historic airfield, and even a pet cemetery. 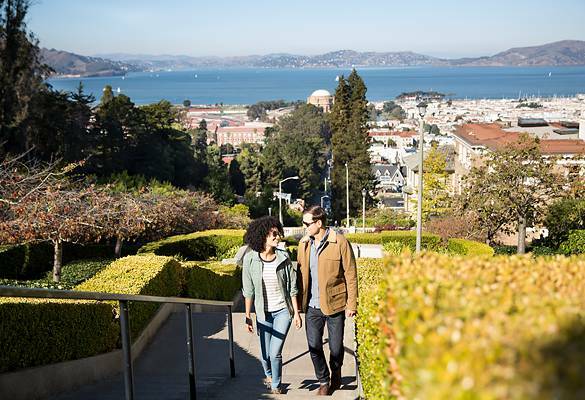 You’ll also discover picnic areas, playing fields, restaurants, hiking trails, a public golf course and scenic vistas overlooking the Golden Gate Bridge, San Francisco Bay and the Pacific Ocean.